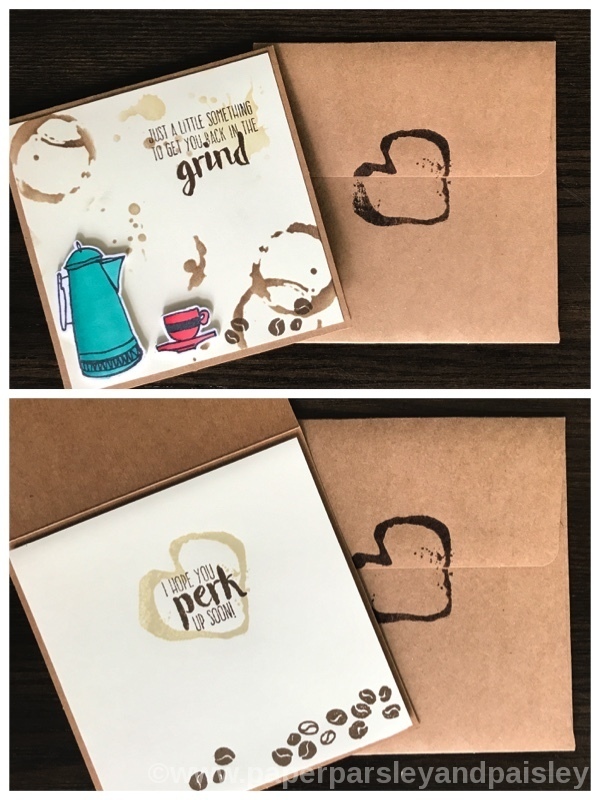 For Christmas I made a series of square kraft colored cards to give as gifts. I really liked working with the square shape, since most of the cards I make are traditional 5.5 in. x 4.25 in. Today I am going to share my get well card. I used Altenew Stamp and Die Set Coffee Love. I added color using several different techniques. I love that you get a high impact look even though it was an easy card to make. To see more of the cards in this series go to my instagram.